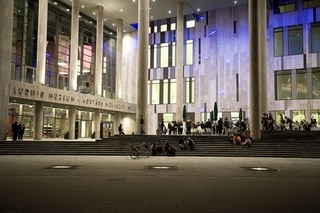 Ludwig Museum - Museum of Contemporary Art collects and displays masterworks of modern and contemporary art. The permanent collection contains valuable pieces of American pop art (Andy Warhol, Claes Oldenburg, Robert Rauschenberg etc.). Yet focusing on Eastern and Central European art, it also puts a special emphasis on presenting the Hungarian art of the 60's to recent days in an international context. Besides, temporary exhibitions showcase leading artists of the international scene as well as the best-known Hungarian masters. Be sure to explore the Museum's colourful place which is indeed a contemporary work of art as well.